Stewartville, MN is conveniently located just off highway 63 as a neighboring city to Rochester (twelve miles south)—Olmsted County’s second largest city. Stewartville is a family community with an excellent school system (Go Tigers) and many growing housing areas – both in town and in the country portions. It boasts many parks, hiking/biking trails, community festivities, large water park and one of the best libraries in SE Minnesota. 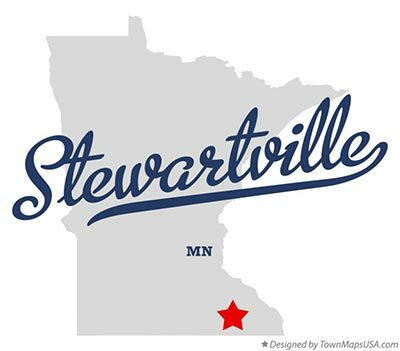 Stewartville, MN also has a growing industrial area with excellent businesses that employ some local residents. That being said, a significant amount of residents live in this beautiful community and drive the short distance to Rochester, MN for work and/or pleasure. Though Babcock Auto Care is located at the Northwest of Rochester, Stewartville residents may think this seems a little too far to drive for car repairs and maintenance. However, some may forget about how quickly they will arrive because the route is all highway—from 63 to 52 and just off the 55th street exit. With the easy commute along with the benefits Babcock Auto Care offers including the best warranty, shuttle service, quality parts, and prompt service, it’s no wonder Stewartville families choose us for their complete auto repair shop.